The Cirque Alpine Axe from DMM is fully T rated for robust performance in the harsh winter environment. 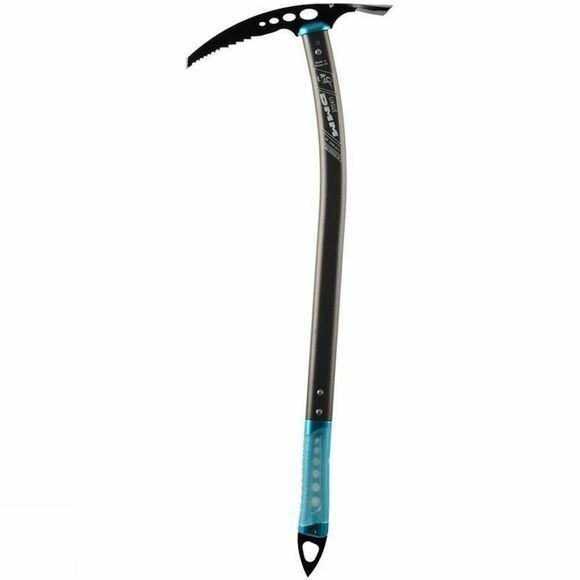 The gently curved pick and shaft combine to give excellent self arrest performance, while a spike on the handle provides grip and stability on snow and ice slopes. A full size adze makes step cutting and ledge chopping easy, while the shaft allows efficient plunging of the axe into snow when making progress. The Cirque comes equipped with a standard leash for security should you accidentally drop the axe.